The NJM Insurance Group approached the construction of their new 55-acre corporate campus, located in Hammonton, with the upfront goal of managing stormwater in a manner that not only met but exceeded the stringent requirements of the New Jersey Pinelands Comprehensive Management Plan. 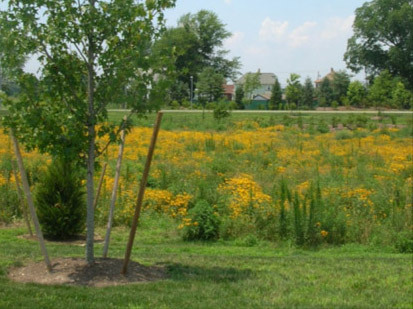 Fundamental to that goal was designing a green infrastructure stormwater management system capable of containing on site nearly all the stormwater runoff generated by storm events up to and including the 100-year frequency, 24-hour duration storm. The project is one of the first projects implemented in New Jersey that was built specifically to infiltrate nearly 100 percent of the on-site runoff. This approach resulted in stormwater capacity being used to determine site design and allowable impervious cover. Meeting the design goal of the on-site containment of nearly all the stormwater runoff generated by storms as great as the 100-year event necessitated a comprehensive study and understanding of the site. This enabled the design team to identify opportunities and constraints. They began with a detailed analysis of the site’s soils, with particular attention given to physical properties of the soil and the depth to seasonal high water (groundwater). 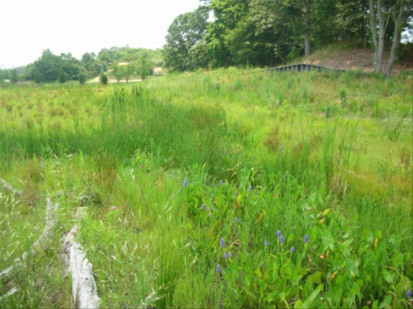 Opportunities were identified for the construction of an integrated stormwater management system consisting of a number of bioinfiltration basins, parking lot bioretention swales, a wetland basin, and a bioretention island. 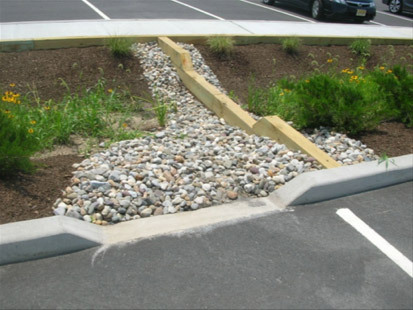 Emphasis was given to green infrastructure BMPs capable of treating and infiltrating large volumes of runoff. To facilitate this, all infiltration areas were constructed using a soil amendment process whereby the underlying soils were excavated and amended with organic material, thus improving the soil’s recharge capabilities. Complementing the green infrastructure BMPs was the installation of a 120,000-gallon below-grade rainwater capture and reuse system. This structure harvests rainwater generated as roof runoff. The collected runoff is subsequently used for on-site irrigation, thus decreasing the facility’s water demands.